Maui Weddings are something special. You combine a romantic wedding with a fabulous honeymoon, all while saving some money. In these uncertain economic times, what better excuse for a Maui vacation than: "We're getting married on Maui and taking a honeymoon, so we'll save money"? That's where we come in. As Maui's premier wedding planner, we'll make sure you not only have a memorable event but we'll make sure you have the killer images to go with it. We can also steer clients toward some of the more interesting attractions on Maui such as Hanggliding Maui, described in "Maui Revealed" as the safest and most exciting way to see the Hana coast from the air. 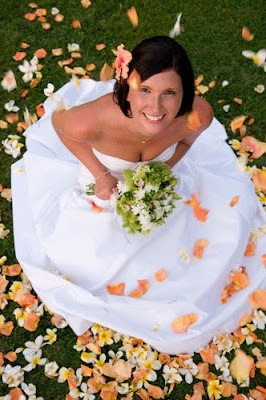 Be sure to call Marry me Maui Wedding Planners before you book your Maui wedding. We are friendly, professional and affordable.